If, by chance, you were worried about the future of The Simpsons, you can breathe a sigh of relief. 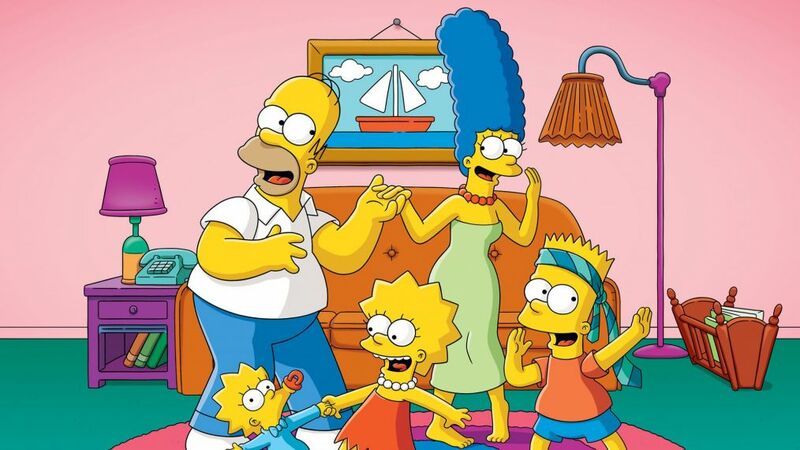 On Wednesday, Fox's day at the Television Critics Association 2019 winter press tour, the animated series was renewed for 31st and 32nd seasons which will take the series to 713 episodes. This also makes The Simpsons the longest-running primetime scripted show in television history. “Woo hoo! 32 Seasons! Watch your back, ‘Meet the Press,” said Homer Simpson. Besides that news, CEO Fox Entertainment Charlie Collier stepped out wearing the head of the Hippo from the Fox hit The Masked Singer....but when the mask was removed, in line with the masked singing competition series, it wasn't Collier after all! Instead, it was actor Jonathan Banks (Better Call Saul, which airs on Collier's prior network job, AMC). In his first executive session since joining Fox in November, Collier says they're waiting for the close of the Disney transaction so they can get to "Day One" of what the network will be moving forward as "Fox Entertainment," ditching what was being called "New Fox" by the former regime. On the brutal attack on Empire star Jussie Smollett last week in Chicago, Collier said, "He's an important and so talented member of the Fox family... it's been really gratifying to see the creative community rally around him." Collier added that he didn't have an answer about a renewal for Empire yet. The executive session also covered the future of Ryan Murphy programming, given his recent move to Netflix. In being asked about last month's Rent live performance, which had low ratings and, due to the injury of actor Brennin Hunt, wasn't completely live, Collier said. "I think it would've been impractical to have understudies for the entire cast," he said. "I'm really proud of what we accomplished and what the audiences got to enjoy." Asked about the future of Damon Wayans on Lethal Weapon (after Wayans said he was quitting the crime drama last October) Collier didn't have anything to announce in terms of the actor's future with the show or whether the show would return for a fourth season. Is Scream Queens coming back to Fox, since Ryan Murphy recently posted on Instagram about a possible return? Collier said there are no plans to bring the horror series back. He also said he didn't have news about a new iteration of 24.